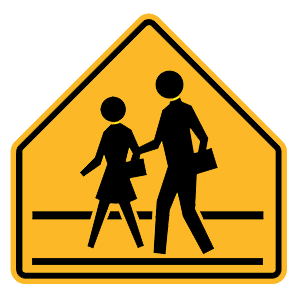 This sign indicates that a school crossing is ahead. Be ready to react to road hazards. It is important to stay alert on highways and be ready to react to unexpected hazards. To avoid "highway hypnosis," you should avoid looking at any one thing for more than a few seconds.